Being rather new to town, we are still learning about the history of development projects in process here. We certainly noticed the high property taxes when we bought our house. It doesn’t surprise us that our selectmen are being asked to reduce this tax burden on homeowners. One solution in the works is Sharon Commons. It has been reported that we can look forward to a Target and a BJs on the site. Wiill the new Sharon Commons retailers draw business away from our town center? 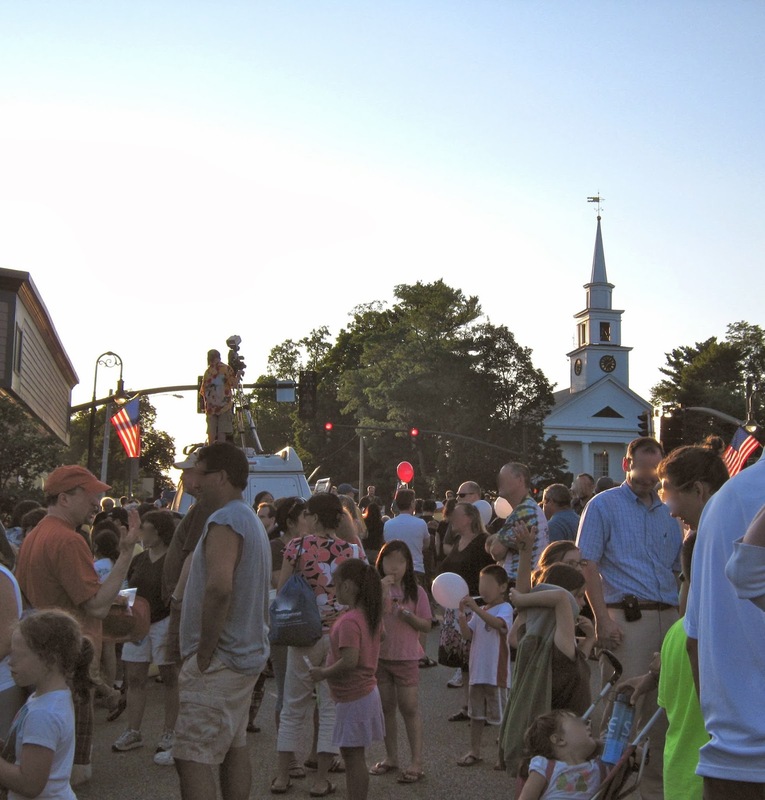 It is my opinion that a strong community needs a thriving town center. And I am nervous about the impact on our community if this development takes away from rather than adds to what we already have. I believe that our local government is doing what it thinks is best for the town, based on our stated wishes to lower the tax burden on homeowners. But I fear we are pursuing a business growth model that has already proven to be a failure on many fronts. Cortese and Mitchell write that the communities that have big box stores are often saddled with maintaining infrastructure - roads, lights, security. There is also the environmental impact of open space being developed - runoff from the huge parking lots, light pollution. And then there’s the costs of all of us getting into our cars to drive further to get to the stores, instead of walking to Main Street. Walkability is a measure of how friendly an area is to walking. This was an important factor for us in choosing our current home. Sharon has a walk score of 68, according to WalkScore.com. The Sharon Patch, a news website, has a column called Visions for Vacancies. The editor asks residents what they’d like to see in the various storefronts that are for rent around town. In October, he asked what people would like to see in the now empty French Memories location. At the time of this blog post, only two people had posted responses. One was the suggestion that there be a Starbucks or a Peet’s Coffee. I don’t think we should repeat history nor do I think we need to look outside of Sharon for visions. And that’s what this project aims to be - me being part of the solution, even if this goes no further than a blog. I want to do the research, and put it out there. Maybe it will help someone else if I can’t make something more happen in my corner. I would love to see some thriving businesses in the square. The Karate place also closed so now there are two empty store fronts. I would like to see a health food store and juice bar go into the French Memories spot. Some place other than whole foods to buy organic meats and gluten free products. 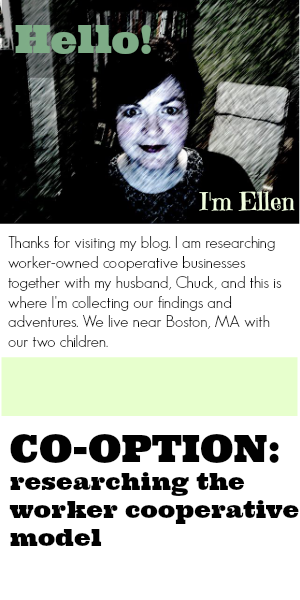 I have thought briefly in the past about starting a meat coop by using the site http://www.eatwild.com/products/massachusetts.html I assumed there would be a lot of board of health regulations and I didn't have any space in mind so I never really pursued it. But if there were a lot of freezers and people could look through them and choose high quality local products I don't know maybe it could work. Plus I love the idea of having a place to get fresh juiced fruits and vegetables. What do you think? Kristine - Thanks for your comment. This is all good stuff to think about. I know people in the Quincy area who have done coop meat buying. It takes someone willing to pick up or accept delivery and to organize people to order. FYI, I've gotten meat here: Oake Knoll Ayrshires, Terri Lawton, 70 North Street, Foxboro MA 02035. (774) 219-6257. E-mail: oake_knoll_ayrshires@lawtonsfamilyfarm.com. If you stop by there, it's self-serve. They have frozen cuts of beef, etc. in freezers. They've had turkeys in the past, too.